*Click on each picture to expand. Need directions from where ever you are? Click the map pin for the interactive map! 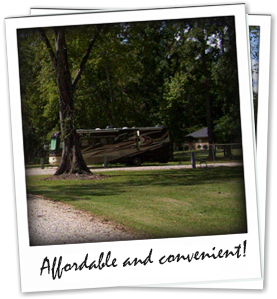 Alexandria RV Park looks to serve as your destination in the Central Louisiana area. With all of the amenities you would expect – we welcome you to make our facilities your choice. Conveniently located near Alexandria & Pineville, Alexandria RV Park is tucked away quietly in an area free of obstructive traffic. With full access to city amenities and the security of quick access to emergency services, we strive to bring the comforts of home to every guest. Be sure to check out the daily, weekly and monthly rates to see how affordable the perfect park can be. 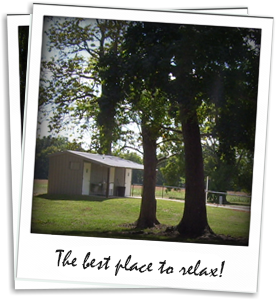 Alexandria RV Park is located off of I-49 on HWY 1 North between Airbase Rd and Rapides Station Rd. 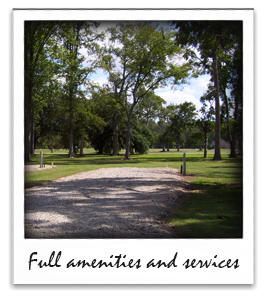 It is located within 5 to 6 miles of Alexandria/Pineville and all major city amenities. Each guest is required to sign a disclaimer. To print it out and sign - in advance - please download the disclaimer by clicking the PDF Icon to the right. In order to make your stay more enjoyable, there are park policies put in place that outline an effort to maintain leisure. You can download a copy of these policies by clicking the PDF Icon to the right. All rentals are subject to cancellations. Policies regarding cancellations can be found in the accompanying PDF. All payments due in advance. Cash and Credit Card Only! Rates based on two guests per RV. A $2.00 fee will be charged for each additional person 12 years or older. Rates are subject to change. Cancellation fees do apply. No refunds for early departure.